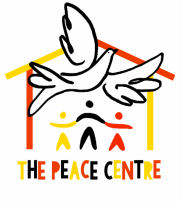 We currently have 25 orphans at The Peace Centre, many of whose parents have died from the AIDS epidemic. In order for a child to be accepted into the orphanage, we do a thorough check, including 'home' visits, to ensure that the children we take in are genuinely the neediest. On one recent visit, we discovered that the girl in question had gone out to work in order to be able to provide for her elderly grandmother who could no longer get around. This girl is six years of age, has no parents, no extended family and no chance of an education. Below you will find information about how you can sponsor an orphan and the benefits that this will bring. Please click on the download link at the bottom for a PDF version of the poster. If you are interested in becoming a long-distance surrogate family for one of the children at The Peace Centre, then please click here to send us an e-mail directly and we will respond as soon as possible. In the not-too-distant future we will be able to cater for 40 youngsters, so at this point we are looking for all the sponsors we can find. It is also worth pointing out that we are aware that not everybody will have the disposable income to be able to sponsor on a long-term basis, but of course this does not prevent anybody from making a one-off donation of any amount at any time. Whilst not having the same relational involvement, such donations are still important to us, and they will go directly towards the costs of carers for the orphans, building maintenance, sustainability projects and other extra activities for the children in our care. Please click here to see how you can make such a donation.